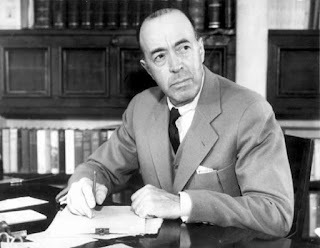 The release of the John Carter movie, awhile ago, reminded me that I had been curious to read the books by Edgar Rice Burroughs. Bradbury had always cited them as an inspiration, too. So, last week, I picked up A Princess of Mars in the "John Carter of Mars" series. I was reluctant to read it, in a way, because I had just finished Winesburg, Ohio, which I found one of the most profound treatments of the modern human condition of anything I have ever read. But I was pleasantly surprised by Burroughs's book. It was a delight. It was an adventure, front to back, that made moderate demands on the intellect but that was written well and that managed to be charming and, yet, still to managed to avoid becoming hackneyed. In fact, I found it to be better science fiction than most critics give it credit for. 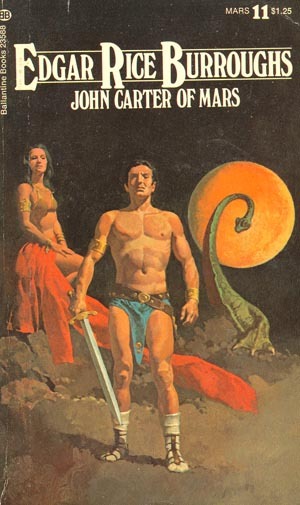 The plot is driven by Carter's love for the beautiful Dejah Thoris, the Martian princess. Carter, the ex-Confederate cavalryman, proves himself among the warlike Tharks by showing his prowess in battle (accentuated by his super-strength as afforded to him by the lower gravity on Mars). Carter, in short, overcomes incredible obstacles in order to reach and marry his Martian Princess, all the while remaining the quintessential (if fierce) Southern Gentleman. It was a pleasure. Then, I watched the movie. The movie made me sad, a little. Not because it was particularly bad or because it was different from the book (it truly was merely "based"on the book) but because the movie marks, for me, a paranoid departure from a simplicity that isn't, after all, so simple. It's just a shame that writers feel, in 2012, that they need to "improve" a story by "adding complexity" and "updating." It's a shame we feel compelled to avoid old cliches by slathering on new ones. Of course, the princess had to also be elevated to modern status. Not only is she, in the movie, a professor at a Martian university, but she is a fierce warrior who "protects" Carter as he is trying to save her from her captors, at their first meeting. Talk about a vivid paranoia in writing. Talk about a comical evasion of possible criticism. Here's where I'm in danger, I know. But am I the only one who is getting tired of the wry smile of the girl who "surprises" the audience by obliterating her captors? Please, don't misunderstand me. I'm just fine with a powerful woman rescuing her man. But I also think it might still be okay for a man to rescue his woman, too. It's gone so far in the other direction that is it now completely predictable. The worst part is that the Dejah Thoris, the princess in the books, is anything but a weakling. She is dignified. She is courageous. She's intelligent. She puts up with none of Carter's crap. (She's also orange, which is kinda hot.) And I'm okay with her not being a Ninja. Carter is a warrior. He is endowed with super strength by his conditions. It makes sense that he should do the fighting, right? And, in the end, the book winds up being more complex than the film, for all the film's steroid injections of conflict by its writers. (I know I'm one of them, but why did they have to invent English majors?) Burroughs comments on communistic life, courtly customs, social change and the triumph of morality and compassion in the face of cultural bullying and he intertwines deliciously entertaining plot lines deftly and naturally. The writers of the film, for all their "sophistication," made Burroughs's half-decent book look like Thomas Pynchon. We need to stop being afraid, as writers, of reflecting tradition, especially when we turn a book from the past into a film. Let's allow Burroughs to live in his own time. Let's make movies about warrior women, for sure, but let's not be afraid to go in the other direction -- the old-fashioned direction -- once in awhile. It makes us look silly and it makes us look afraid. I understand why women get frustrated with the old movies. Women were the device in the plot to up the intensity, usually by falling and spraining their ankles and then crying for help. This was just as silly -- more, perhaps. But now might be the time to balance things out. We men and women help each other out of dangers all of the time. That's cool. Let's not be afraid to show both sides. My wife is my princess, in lots of ways: pretty, sweet and sometimes "protectable." But she can also be tough as woodpecker lips, even if she is not a master swordsman -- uh, swordsperson. Great, 'nora. Thanks for the tip -- I'll check her work out. The other weird thing about the attempt to modernize John Carter is that filmmakers are trading on a name--Edgar Rice Burroughs--and then making these new movies unrecognizable to people who consider themselves Burroughs fans. Hollywood has done the same thing with movies based on Robert E. Howard characters: Kull, Solomon Kane, and the recent Conan movie. It's not clear to me what benefit they think they're gaining from doing this, since vocal fans of the original books tend to hate these movies. If "A Princess of Mars" is way too 1912 for moviegoers in 2012, why continue to slap the name on a story and characters Burroughs wouldn't have recognized? Why not just make some other space-fantasy set on Mars, without a hundred years of pulp baggage? Jeff -- they certainly seem to be out-clevering themselves, don't they? Perhaps it is a result of arrogance: "Burroughs "was cute and all, but we've come a long way since then. "Maybe not. Great Piece, Chris--thanks for it. I was especially drawn to your reaction to reading Winesburg, Ohio recently, and it brought back my memory of a "WOW! deeply felt response to reading that book more than four decades ago. Thanks to you I am jumping Winesburg, Ohio to my top 10 books to read and reread. Then I will pick a Carter novel and read one (not portions) for the first time. Hi, Neil -- thanks; and thanks for stopping by. Glad the internet gods were kind this time. Definitely let me know what you think after you second look at Winesburg. I really think that book was a light that shone on the parts of my fiction writing philosophy that I wasn't conscious of. It certainly had a profound effect. Again, I appreciate your keeping up with my blog. Oh -- didn't mention this in my post, but Bradbury credits Winesburg with inspiring The Martian Chronicles. I can totally see it. Chris, That's right about Bradbury! I had forgotten Ray wrote that.